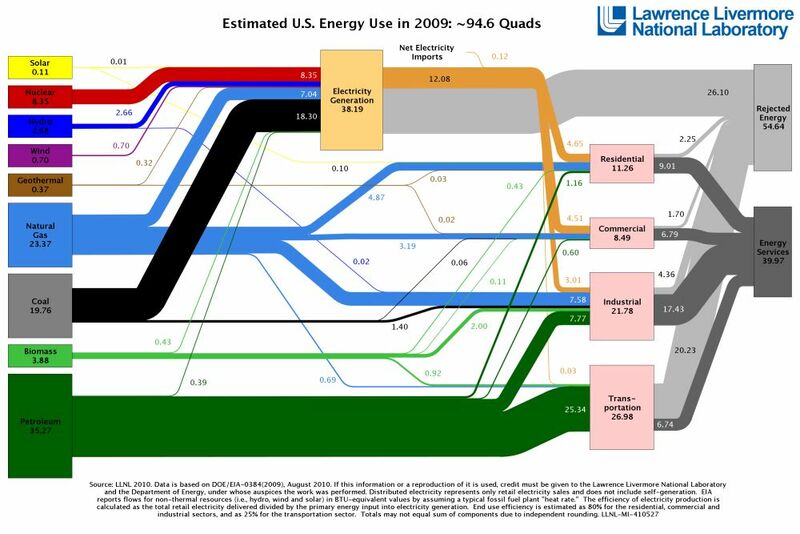 Both Grist and Watts up with That have posted the following chart that provide a graphical illustration of energy use in the United States. The comments after the primary post at the Grist site are worth a read. While the first impression is that the amount of “rejected energy” suggests there is substantial room for improvements in efficiency, some deeper analysis and commentary is required about the fundamental limits presented by the laws of thermodynamics. In addition, the assumptions used to produce the charts are quite broad brush and border on being simplistic.